-- Mike Davis is for sure out...and might be out next week too. It's a shame. -- I was wondering if Ty Montgomery might be a surprise active Sunday but it looks like he's out -- I think GB in conceding this game and focusing on TB-CLE next two weeks to get to potential Aaron Rodgers Weeks 15-16-17. -- The Saints without Marshon Lattimore and Ken Crawley is HHHHHHHHHUUUUUUUUUUUUUGGGGGGGGGGGGEEEEEEE for the Rams for fantasy and for wagering. That's ripping away two of their best defenders. Remember the early Saints of 2017 season? 346 and 447 yards passing allowed the first two games...pre-Crawley. Without Lattimore last week 322 yards 3 TDs/0 INT for Kirk Cousins. -- Kenny Stills with Matt Moore is a real thing this year...if you need a WR emergency boost. -- I think Jalen Ramsey may have been lying about being out? He's going to miss a game with a bad hand? A cornerback? It would have to be pretty bad, no? -- I was looking more at TEN v. IND, specifically for Marcus Mariota without Rishard Matthews. Did you know Indy has held the past three opponents to 20 points or fewer? Opposing QBs 5 TD/1 INT in that span with 232.7 yards passing per game. Not as 'juicy' as you think when you think 'Indy'. The Computer has been tossing and turning on taking Indy and the points all week as the injury news changes. -- JuJu Smith-Schuster out...a big bump for Martavis Bryant, against cover-less Green Bay...in theory. -- Devonta Freeman out...Tevin Coleman excitement once again!! -- Jalen Ramsey out...huge hit for the Jags. They are a mere mortal 'great' play this week instead of 'amazing'. Not sure the Jags will make the Blazing five now. -- I would like to announce we're the only place of commerce in the world that does not have a cheesy Black Friday special. No Black Friday specials at all. Just working...watching football...writing about football...celebrating the true meaning of the season -- being thankful for Samaje Perine hitting the 100-yard mark/bonus (in some leagues) on his final carry last night. Perine now has as many 100+ rushing games in 2017 (2) as Melvin Gordon has this season...or in his last 16 games. -- The Denver O-C is coming out saying Devontae Booker has earned more touches. I think the change over to Booker as not starting, but playing the most snaps and being the 'lead' is now upon us. I don't know that it means a ton, being the top DEN RB...but it's something...better than nothing. -- Wrapping up the rest of Week 11's game analysis. The Thursday Week 12 game analysis will show up on a busy Saturday. 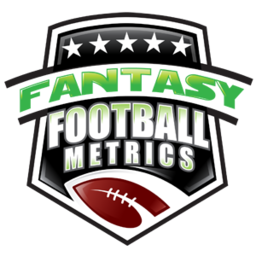 -- Week 12 projections update later tonight around 10pm-midnight ET as we get the injury reports.